I wanted to share with you an update! I decided to remove my restaurant review posts and consolidate my Lifestyle/Travel and Tastings/Media Events sections into this general Blog section. I updated my blog so I could focus more on recipes! I would still do the monthly recap posts and the occasional travel/event post. I hope you enjoy where this blog will go moving forward! 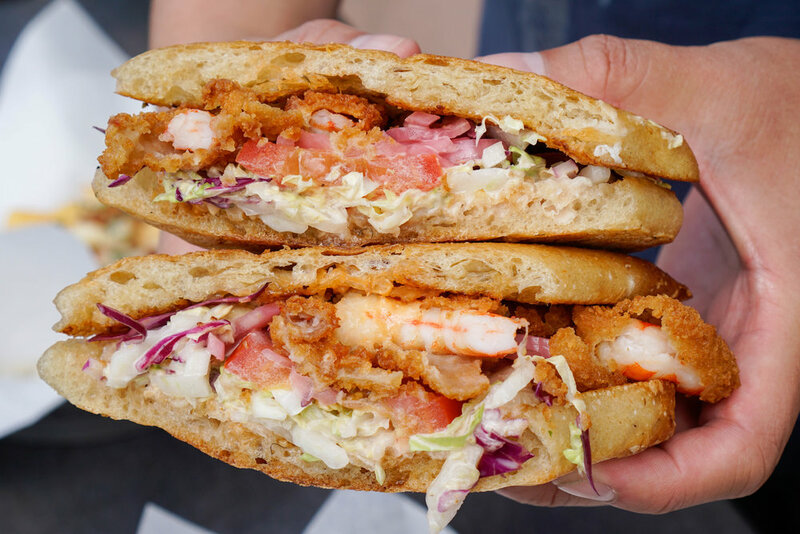 We had tried Ocean Market Grill in Long Beach and were so happy to be invited to check out the newest location in Torrance. This time we decided to check out things we had not tried before. We got Kale salad with Salmon, OMG fries, Poke Tacos, and Po'Boy Sandwich with Lemon Sea Salt Cauliflower. Everything was delicious and perfect for photos! 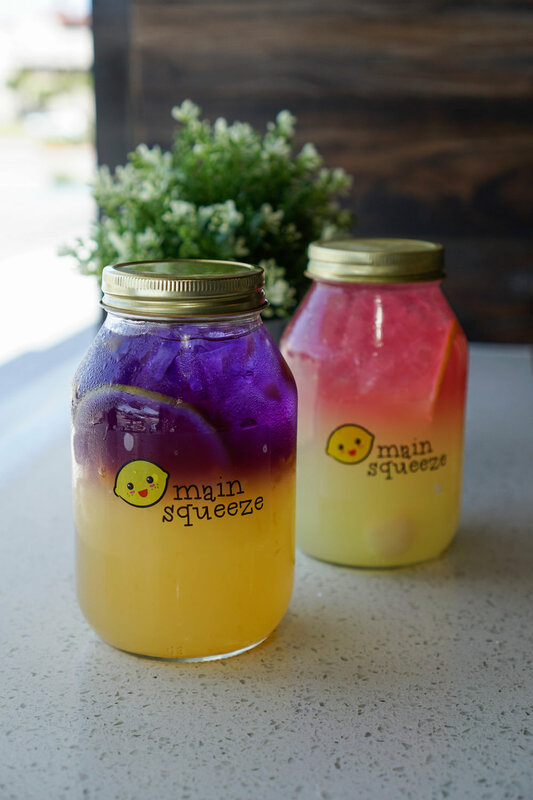 I first tried Main Squeeze at the 626 and OC Night Markets and was so happy they established an physical location. They served some delicious lemonades and soft serve that came with a variety of options (we got a s'mores cone). 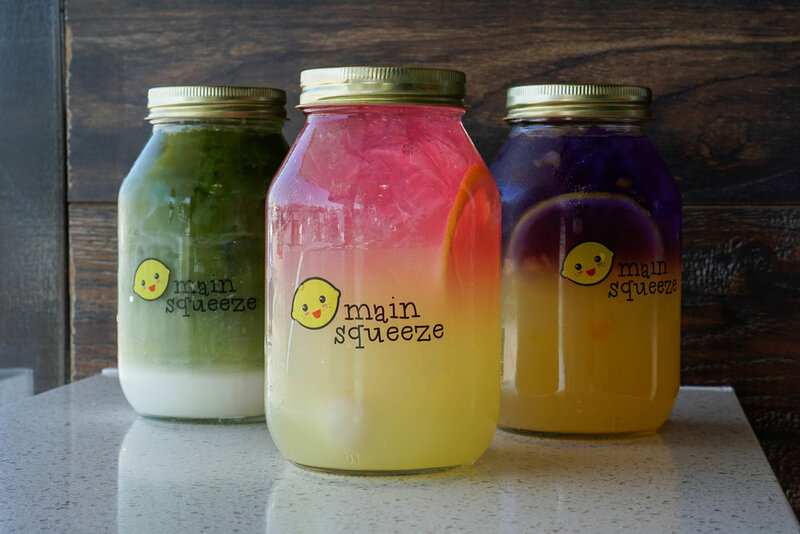 The drinks were my favorite part since they were colorful and came in mason jars. We got the Green Thai Tea, Butterfly Peach Lemonade, and Lychee Lemonade. 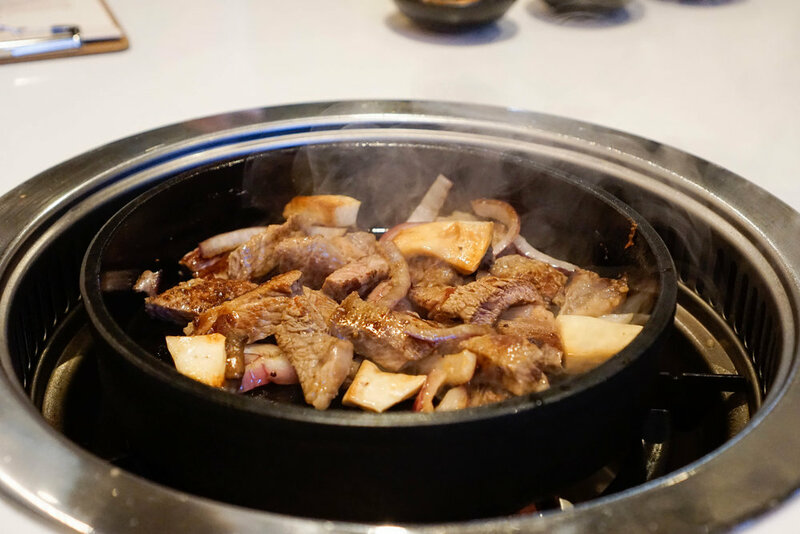 We got to check out this newly opened Korean BBQ in Pasadena. I loved the clean and simple menu and ambiance, and I loved that they had fun appetizers and desserts. I enjoyed the Kalbi Tacos the most. The Korean BBQ itself was great too; they used a downward draft grill for ventilation. My favorite was the seasoned boneless short rib! We ended the meal with some beautiful desserts, including sorbets in frozen fruit (lemon, peach, coconut) and white chocolate (called Bomba). Burger City Grill wanted to celebrate National Ice Cream Month! I had enjoyed the shakes from previous visits so I was happy to help promote the fact that the ice cream from the shakes were freshly made by Dandy Don’s Homemade Ice Cream. I got my favorite Vanilla Shake, as well as tried the The Santa Monica and Sloppy Fries! The creators of Shrimp Daddy and The Chichi Dango wanted to share with us their newest concept at Smorgasburg! It was a matcha concept serving drinks made with matcha sourced straight from Japan. From what we tried, it tasted so fresh and natural, and each drink was so nicely presented! We got the Matcha Latte, Aloe Matcha, Ceremonial Matcha, and Magic Matcha. 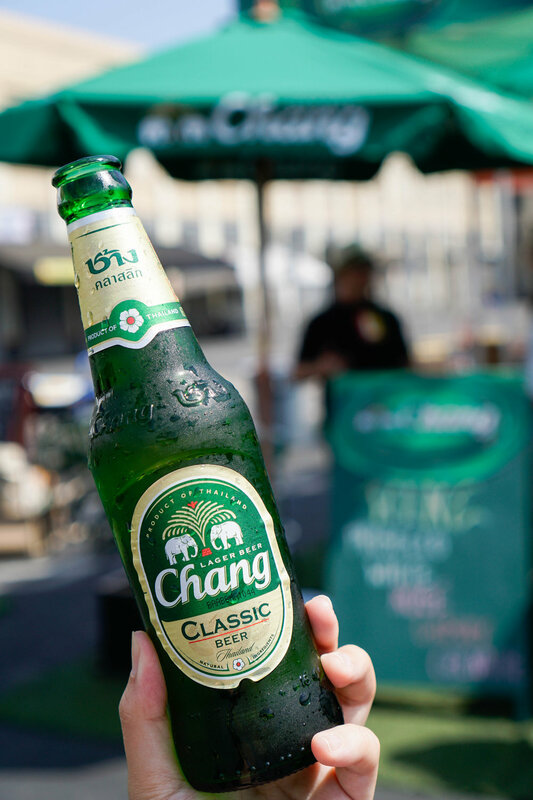 Baohaus made an appearance at the beer garden with Chang Beer at Smorgasburg. Baohaus shared with us their Fried Coffin Ice Cream Bao, and also brought back the Cheeto Fried Chicken Bao for this event. My ice cream bao was topped with a black sesame glaze, crushed peanuts & Taiwanese red sugar. 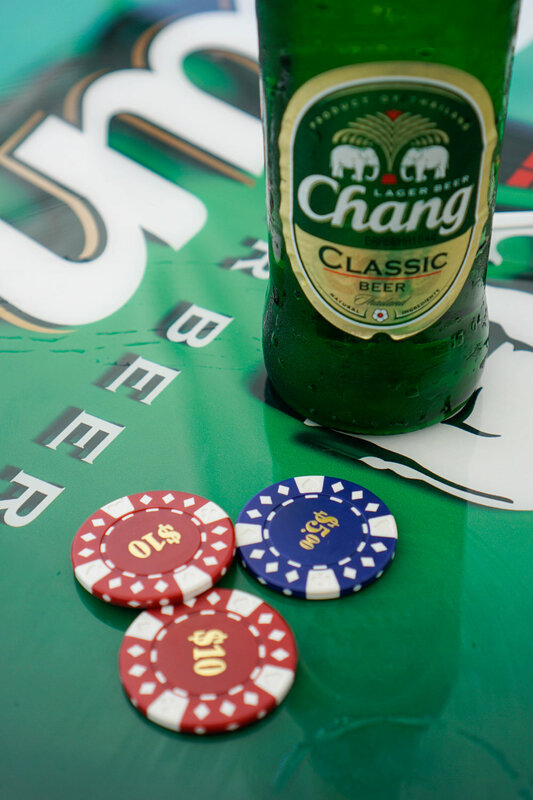 It was fun to enjoy these treats with a Chang Beer at the beer garden! Vendors came together at Far Bar in Little Tokyo to promote the 626 Night Market event in July. We got to check out food from the different vendors to see what they would be showcasing. I loved the wings from @chanamanathai and the chicken skin from @chicknskin. We also enjoyed the drinks from @crescendoicecream and @honeyhoneydrinks. Everything came out great in the photos and it was a fun event! Poke Me recently opened a location in Palos Verdes, and I was able to check them out in Los Angeles. The poke was very delicious over all. I got fun ingredients like octopus, corn and tobiko, but my favorite part was the variety of sauces they had! I got Truffle Ponzu, Yuzu Wasabi, and Spicy Mayo. We got an invitation to a tasting and cooking demonstration from Chef Jet Tila and Chef Jaime Martin Del Campo and Chef Ramiro Arizu of Mexicano. They were partnering with the Thai Trade Center to demonstrate the use of Thai Hom Mali Rice in traditional Mexican dishes. We enjoyed things like Michelada de Tamarindo, Horchata, Taquitos, Tostaditas, Cochinita Pibil, Chile en Nogada. It was an excellent evening of great food, and it was so nice to witness the fusion of Thai and Mexican cuisine! We also got to take some rice and some swag home at the end of the evening! GEN Korean BBQ recently opened a new restaurant in Fullerton. While they did not have the robot servers like in Montclair, this location was great. It was conveniently located off the freeway and served amazing food, just like at all of their other locations. Each table challenged themselves with arranging the ingredients for photos and then enjoyed some great cooking Korean BBQ, sides, and macaron ice cream. @missmisschelle was kind enough to set up a visit to Nitrolado. My favorite item has always been the Green Thai Tea, so we made sure to get a few of those for photos. I also tried flavors I had not tried before, such as the Honey Jasmine Tea ice cream in a Cinnamon Churro Bowl. It was interesting to have the option of placing the bowl either under the ice cream or on top of the ice cream! Eatersanonymous and Yeo’s USA sent us a care package with fresh drinks, sunblock, an inflatable palm tree (not pictured), and other goodies. The drinks were made from natural sugar cane. My favorite drinks were the lychee, chrysanthemum tea, and iced tea lemonade! 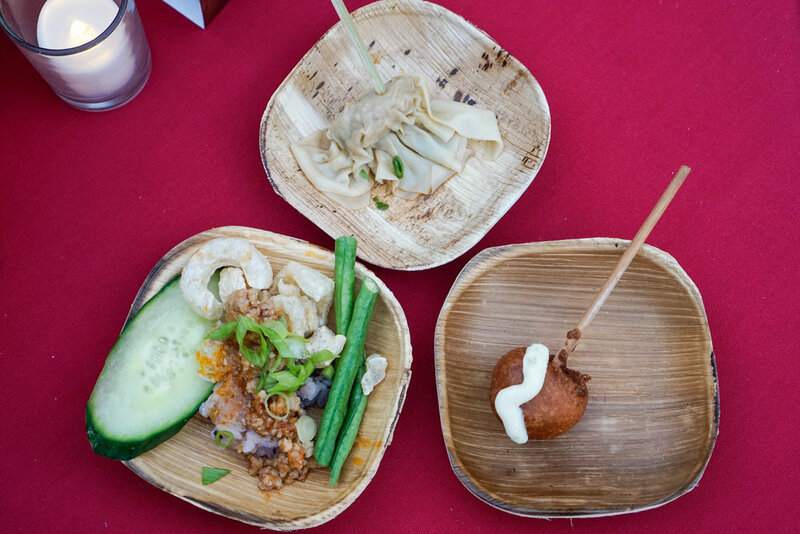 Lucky Rice held their 8th Annual Los Angeles Feast at Vibiana, featuring the best of LA's Asian and Asian-influenced chefs and mixologists, totaling over 20 vendors. My favorite items that night were the Coupe De Grace drink from @the_standing_room and the Chili Garlic Noodles with Ground Pork from @bonekettle. I did my first collaboration with Milk and Eggs for a recipe here. Since my recipes will be the main focus of my blog, I will be doing more recipes from now on!